It seems that everyone in the blogosphere right now either has a “re-cap” list of 2010 stories or a 2011 “predictions” list published. 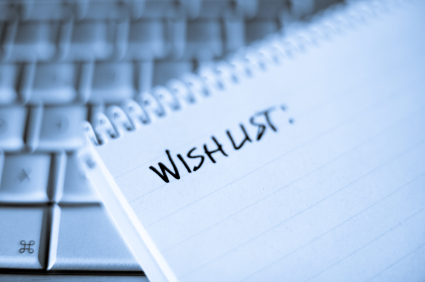 Since I have a serious case of the “FOMS” (a fear of missing something), I thought I’d add my own personal wish list blog to the mix. Starting my own business has been a serious learning process over the past few months. While I’m slowly starting to navigate how to make a digital media focused start-up work in Canada, I thought I’d share my wish list for products and services that could make my life easier in 2011. I’m sure that there are other start-ups and entrepreneurs out there in the digital media space who share my sentiment and can provide additional requests. While there are many free tools out there like Google Analytics, Google Ad Planner and Alexa, I find it perplexing that small businesses are not able to access the industry-standard tools like comScore and Hitwise to help them properly position and sell companies in the marketplace. It would be amazing if some of the standard measurement companies developed a small business pricing model to help us to run our businesses like a larger company. Perhaps a pricing model of a quarterly cost for a limited number of data pulls would suffice? If you are a small business, coughing up $500 to $1000 to attend one conference is a hefty price to pay. Again, perhaps larger conferences could have a “start-up” price that is similar to student pricing to attend larger conferences? Industry events are essential to help smaller businesses to network and learn to fuel their growth. Start-ups like Sprouter and TechVibes do a great job of promoting Canadian digital start-ups and work to unite the Canadian technology community. I’d love to see additional movement towards promoting and uniting Canadian digital media companies in 2011. Having recently sat in on some meetings with a few female-targeted digital media start-ups in the past few months, I definitely see an opportunity for uniting Canadian female-targeted digital media companies to help them cross-promote each others’ sites and products. I’m sure that there are other like-minded start-ups who could benefit from cross-promotion with each other as well. Please share your thoughts on what could help make the lives of Canadian digital media entrepreneurs better in 2011?